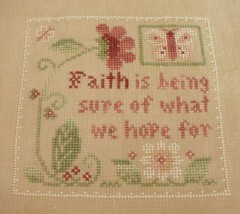 Nicole's Needlework: You gotta have "Faith!" 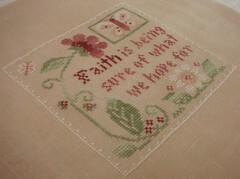 I finished up the Little House Needleworks thread pack "Faith" yesterday. I couldn't resist starting it the other day. I just love the colors in this one! The fabric is the 40 ct. Navy Bean that I got the other day. For some reason I was having such a difficult time with the border. It was driving me nuts! So I think I'm sticking to 32 and 36 ct. for awhile. Give my eyes a little break! Well, not much else going on here. My dh and I went to a Devil Rays game for our 14th Anniversary yesterday. And this weekend we are escaping and going up to Jacksonville/St. Augustine to spend some time together before he has to start training on Monday. They just called and told him he won't be in Albany, GA after his training he will now be in Charleston, SC. It's a little further away, but a much better place to be. Well, I'd better go - we are going out with the in-laws to celebrate Father's Day early. Write later! :) Thank you again to everyone for your very kind comments!! That's so pretty! I'm anxiously awaiting mine to come from Jenna - yours looks lovely on the Navy Bean! Wow, that is beautiful! Congratulations!! 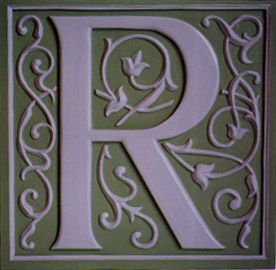 That is so cute, and the colors of it match your blog LOL! :D I like these little threadpacks a lot, plus you get lots of leftover threads for other projects :) Your Shepherd’s Bush piece you posted earlier is so beautiful. The soft colors on them really look so nice. I understand you feeling overwhelmed with And they Sinned, I can’t work on big projects for very long at any given time because I feel like they’ll never get done. 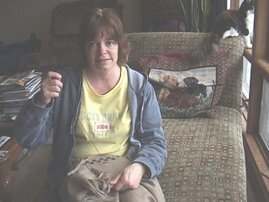 I say you should enjoy your stitching, not stress over it :) It’s supposed to be a stress reliever LOL! Happy Anniversary, Nicole & DH. Your "Faith" is lovely - I have you to blame for putting me on to LHN - I had never heard of this designer before I started reading your blog. I hope to get one started soon. I might have to add this one to my stash, too! Good luck to your DH in his new job! Good luck to your DH! Love your finish, the LHN pieces are so cute. Faith looks wonderful but I can't imagine stitching on 40 count! What great eyes you have! This is just stunning, the colours are amazing. Happy Anniversary to you both. Your LHN is so pretty, cant wait to start mine. Congratulations on your anniversary, and good luck to your husband on his new job. Beautiful finish! I love those colors too! Very sweet, Nicole! 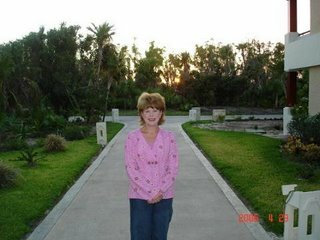 I hope you enjoy your time with DH very much... happy anniversary to you. Pretty finish-this is one of my favorites of the scripture packs. Happy Anniversar to you and your DH!